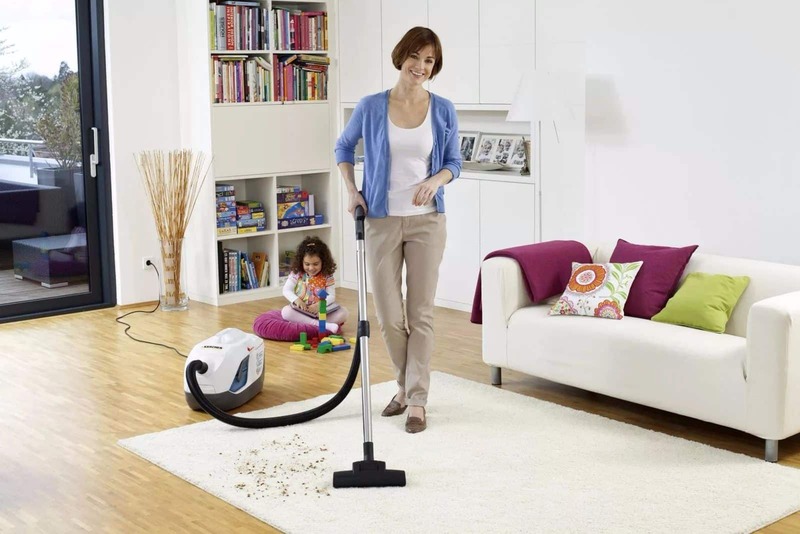 2 How to facilitate the cleaning of the house? 3 How to reduce the frequency of cleaning? Far from everyone likes to do the cleaning in the apartment, however this is a necessity, without which it is difficult to imagine the housing of a civilized person. If cleaning methods are clear to everyone, then it’s not so easy to decide on the frequency. How often do you need to clean the apartment to maintain cleanliness, but it does not spend much time on it? It is necessary to understand this issue, as well as to understand how to reduce the frequency of cleaning without harm. Daily cleaning. This method is optimal for people who spend most of their free time at home and can afford to regularly wipe surfaces as they become dirty, remove extra things without letting them accumulate. This option will allow you to keep the apartment clean, while making every day a little effort - you will not get tired of this. Weekly cleaning. This option is how often you need to do the cleaning in the apartment is optimal for most modern people who spend a lot of time on work, study, and appear at home only in the evening. This approach implies that a person once a week on the same day (and preferably time) postpones all his affairs and starts cleaning the apartment, erases and irons things, takes out the garbage and carries out other necessary work. Unless it is necessary to wash the dishes much more often. Cleaning as needed. Such an approach can be adopted by people who litter extremely little and tidy on their own, or people who spend little time at home. How often clean the house in this case? Everyone decides for himself. Some will be enough several times a month, others a couple of times a week. Spring-cleaning. This event is recommended to be performed even by people who have chosen daily cleaning. As a rule, the general is held once in 3-6 months. 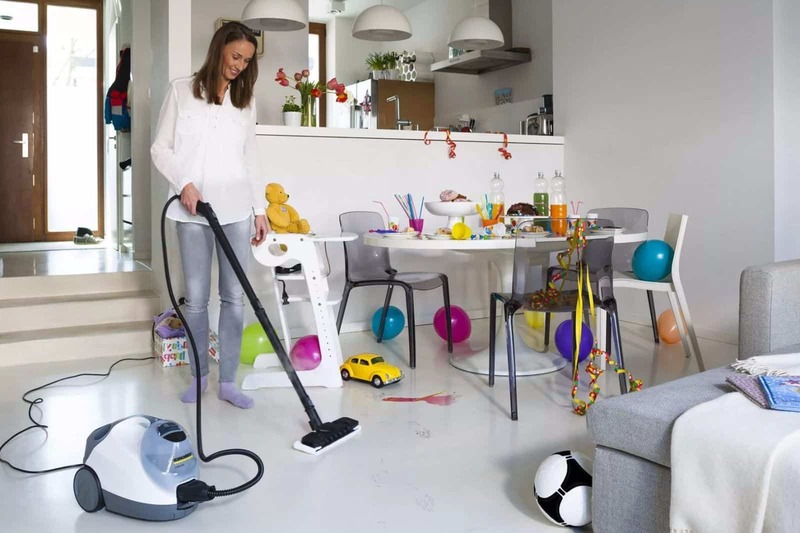 The exact frequency depends on the area of ​​housing, as well as on the accuracy of the tenants, as well as on the selected frequency of ordinary cleaning. How now to figure out how often you need to clean the house? Each person should choose the frequency of cleaning optimal for him. Craftsmen to litter (as well as parents of active children) will have to be cleaned much more often than neat singles. Despite all this, everyone is advised to do spring cleaning regularly. How to facilitate the cleaning of the house? Before you start cleaning, make a plan, according to which you will move around the apartment. This should be done from the largest to the smallest rooms, eventually moving to the shower and toilet. Having an accurate action plan will help save time thinking about what to do next. If you choose weekly cleaning, try to set the exact day and time that will not change. It’s best to start cleaning up in the morning - you shouldn’t put off a not so pleasant thing for later. It is necessary to prepare in advance everything you need for cleaning, including sponges, brushes, detergents. Do other people live with you? Family members, friends, or just neighbors? Distribute the duties of cleaning among all tenants, give everyone their role in the common cause. Such an approach will significantly save time and effort on cleaning. This is especially true in large apartments and houses. Group work. What does it mean? Try to wash all closets or windows in all rooms at the same time. Having coped with the work from one group, immediately proceed to the next group. Do several things at the same time - you can save a lot of time if you load a washing machine, soak the dishes, disinfect the bathroom, and wait for the result to wipe the furniture. Try to wash the floors and other surfaces not with ordinary water, but with the addition of detergents. For mopping there is a large selection of detergents. The same goes for carpets, sinks and slabs. So you learned how to clean the apartment, so that the cleaning took as little time and effort as possible. Thus, the use of the above recommendations on how to clean the apartment, will save up to 30-60 minutes for each cleaning. Isn't it better to spend the time saved for more enjoyable activities? It remains to figure out how to do so in order to clean the house had as little as possible. Interested? How to reduce the frequency of cleaning? Shoes remove in the hallway. Put a rug in front of the entrance door and put slippers next to it. This simple measure will significantly reduce the amount of street dirt and dust in the apartment. Get rid of parasites. In any, even the cleanest home, you can find a large number of dust mites and other microscopic pests that feed on skin cells and can cause asthma. To get rid of unwanted neighborhoods, you need to change your bed linen as often as possible. During the shower turn on the hood. While taking a shower in a room, the humidity rises, which has a very positive effect on the development of mold and the reproduction of harmful microorganisms. The hood will help keep the level of humidity in the apartment at an acceptable level even during water treatments. This will allow to clean the bathroom less often and eliminate the need to scrub the tiles from fungus and mold. Use natural remedies. Products that are considered traditional and are used most often contain chlorine and other caustic substances. Their volatile fumes can lead to dizziness, nausea and other negative manifestations. It is better to replace funds with environmentally friendly means. Air flat more often. Regular airing can reduce the content of harmful substances suspended in the air. This measure will also reduce the amount of dust in the apartment and the frequency of cleaning. Wash dishes immediately after a meal. Do not store dirty dishes in the sink, hoping for a miracle. Sooner or later, the accumulated dishes will have to be washed - it will take a long time to clean the whole mountain. Is not it better to wash the dishes as it is contaminated, thereby saving a lot of your time in the future? In washing things, use the same principle as with dirty dishes. No need to wait until the laundry begins to fall out of the basket. Wash clothes and clothes in small portions, regardless of whether cleaning is scheduled for today or not. This will allow to preserve the attractiveness of things longer. Treat the bathroom. In order not to waste time on cleaning the toilet bowl during each cleaning, regularly treat it with a special agent, leaving it overnight. In the morning, make a few plums to remove the residues. This procedure can be performed separately from the cleaning - it will take no more than five minutes. But how much time can be saved in the future to clean the dirty bathroom! Now you know how often to clean the apartment to keep it clean. Try to litter as little as possible, immediately wash dirty dishes and regularly get rid of unnecessary things. If you follow these simple rules, the question of how often you need to clean the apartment will no longer arise. Do not forget to tell your friends and relatives how often clean the apartment and how it is right do!